The Florida Conference of Seventh-day Adventists Office of Education conducted an Evangelistic robotics camp at the Hughes branch of the Boys and Girls Club of Central Florida on June 18-22, 2018. The camp, which targets underserved youth, provided them with an authentic project-based learning experience that cultivated a passion for STEM (science, technology, engineering and mathematics). “This is a great opportunity for students to develop 21st Century Skills and to develop an interest in STEM,” states Tasha Banks, director of services for the Hughes Branch of the Boys and Girls Club. A scaled down version of the DARPA (Defense Advanced Research Projects Agency) Challenge, the camp requires the students to design, build and code an autonomous robot that is capable of completing a series of tasks in 2 minutes and 30 seconds. The camp also represents the Florida Conference’s desire to develop innovative ministries for the 21st century. 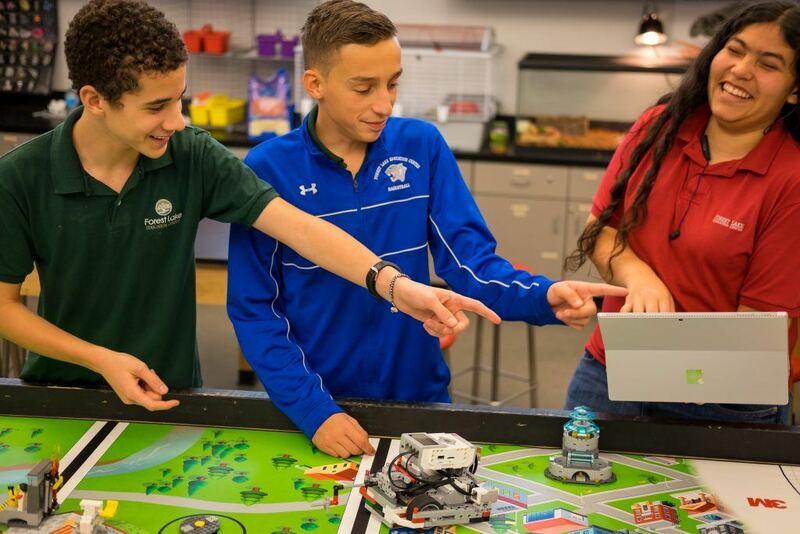 It is also a part of the Florida Region of the FIRST (For Inspiration and Recognition of Science and Technology) Adventist Robotics League’s strategy to engage underserved youth in the FIRST® LEGO® League (FLL). “We want the parents to become intrigued to find out more about a religion that invests in the future of their children,” states Frank Runnels, Florida Conference vice president for education. The student-centered education camp engages the students via his/her learning profile (Learning Style, Multiple Intelligence Factor, and Passion/interest). This approach allows each participant to find his/her niche. Which will boost their academic confidence. According to a longitudinal study conducted for FIRST® by the Center for Youth and Communities Heller School for Social Policy and Management at Brandeis University in Waltham, MA students that are engaged in a robotics program are more likely than their counterparts to pursue a STEM degree. Topics covered through the week will included the: the history of innovation and invention, introduction to robotics, robot math, technical writing, engineering design process and the software development process. The ultimate goal of the camp is to ignite a passion for STEM and to start an FLL team at the Boys & Girls Club that will compete at the Innovation and Robotics Competition on March 24 at Forest Lake Education Center. The event is the Adventist Robotics Florida Region Qualifier.